The Petting Zoo Is Here! 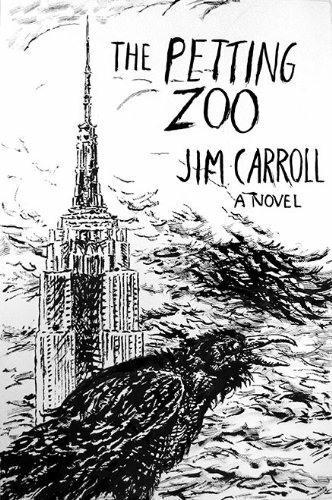 It was 1988-89 when fans attending spoken-word performances first heard Jim Carroll talk about a troubled young painter named Billy and a chatty raven. Over the years, monologues developed into short prose pieces, and gradually Jim started referring to these pieces as "The Petting Zoo." After more than twenty years, The Petting Zoo is finally here! I will be sharing my thoughts and experiences later, but in the meantime I hope you will tell me how you like the book. The site has been under construction since before Jim's death. Some of the articles (especially the performance reviews) are still not back up, but please know they will be available eventually. Since I am still redoing the site (and have very little time to work on it! ), you're going to run into a "404 PAGE NOT FOUND" errors sometimes. I apologize for that. Please be assured the pages will return. If you're looking for something specific that's not up yet, please contact me. Please note, also, that . . . obviously I'm going to need to change a lot of things on this site to reflect the new reality. Please bear with me. This is not easy.